Phifer "Tuff Screen" is a Pet resistant insect screen designed to work in windows, doors, screened patios and pool enclosures. 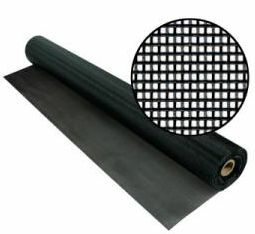 Tuff Screen is suitable for pool enclosures or other applications that require a round or flat spline. Tuff Screen provided a better visual outward appearance than traditional Pet Screen. Tuff Screen is ideal for both strenght and visibility.